This project aims to enable micro and small businesses with up to 50 employees to use digital technology to improve their business performance. More specifically, this project will provide training and support to businesses to improve their digital skills capability by making use of Google Digital Garage resources on line. We will support businesses to improve their digital capabilities using Google Digital Garage that offers one-to-one assistance for local businesses of all sizes for free. 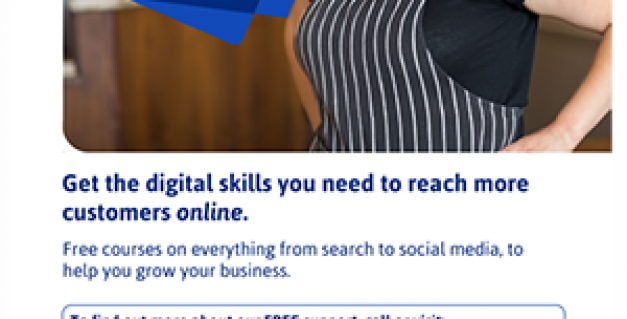 Digital skills training will cover 23 topics -such as the on line opportunity, connect through email, get noticed through social media and much more. The training will include group session, one to one and remotely mostly via telephone, text, social media and email. We will also encourage learners to network and support each other’s and exchange best practices. The training and support will be delivered with staff members and volunteers. PC, Laptops and tablets will be available to provide training and support both on our site and on client’s businesses premises. We will encourage learners to contact us via mobile and land line phone numbers, social media and email which we will make sure these are available in our publicity materials to be easily accessed by our potential and actual learners.